Levenshtein distance (LD) is a measure of the similarity between two strings, and it is a minimum costs to transform a string to the other using deletions, insertions, or substitutions. 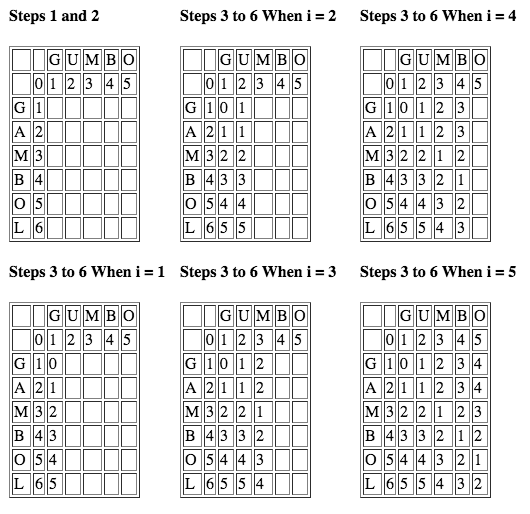 This is really useful algorithm for comparing two strings. 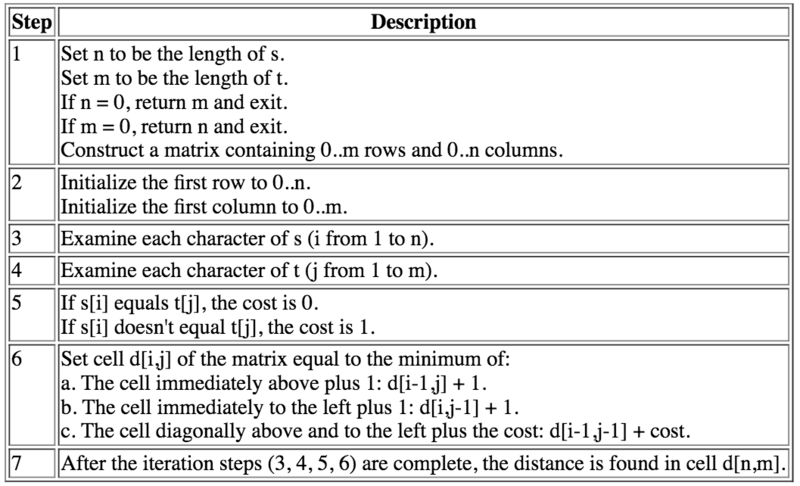 As shown on the algorithm table, make a calculated distance table. Next, initialize first row and column as 0 – (m or n). Get minimum value of left one +1, upper one +1, and diagonally above and to the left + cost. final Levenshtein Distance is lower right hand corner of the matrix which is 2 in this case.